When we first moved cities for work I was worried that I wouldn’t being having spur of the moment dinner parties with a group of fabulous people anymore. Last week I was definitely proved wrong. After a rough week on evening shifts all I wanted to do was have a glass of wine (or two) and eat a lot of food. I was lucky enough to rope in some new friends from the hospital and also convinced a couple of med school friends to travel up to join me. The result was a fun night of conversation and games that was finished off with an awesome dessert. This torte is fantastic. 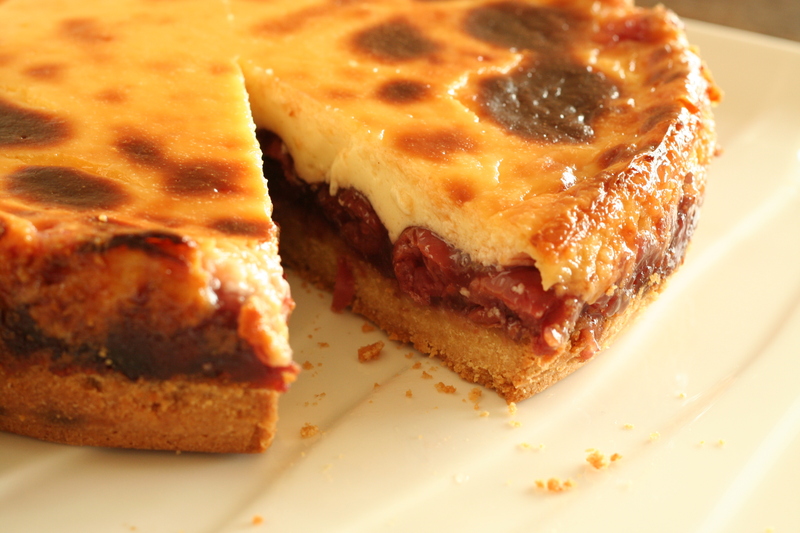 Crunchy biscuit layer topped with sour cherries and topped with smooth sour cream. Personally I think the biscuit layer was a bit thick, so feel free to use a bit less of the mixture if you’d prefer it a bit thinner. 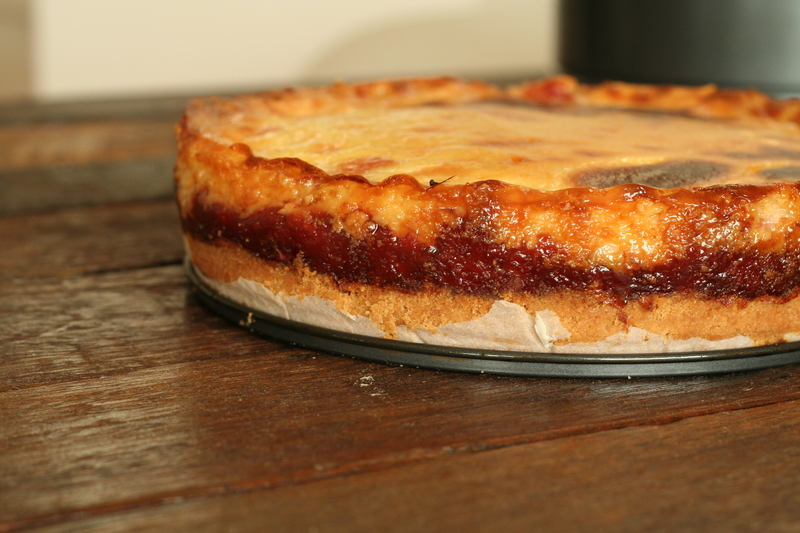 Having said that, it is quite a crunchy base that doesn’t go soggy so a thick layer isn’t a big problem. You could use any sort of berries for the middle layer but I found these fantastic sour morello cherries that worked so well. If you can, I’d highly recommend hunting these down, they work perfectly with the sour cream. The torte takes quite a while to cook and does tend to go quite brown on top which I was initially a bit concerned about. Don’t stress, this is how it should be. 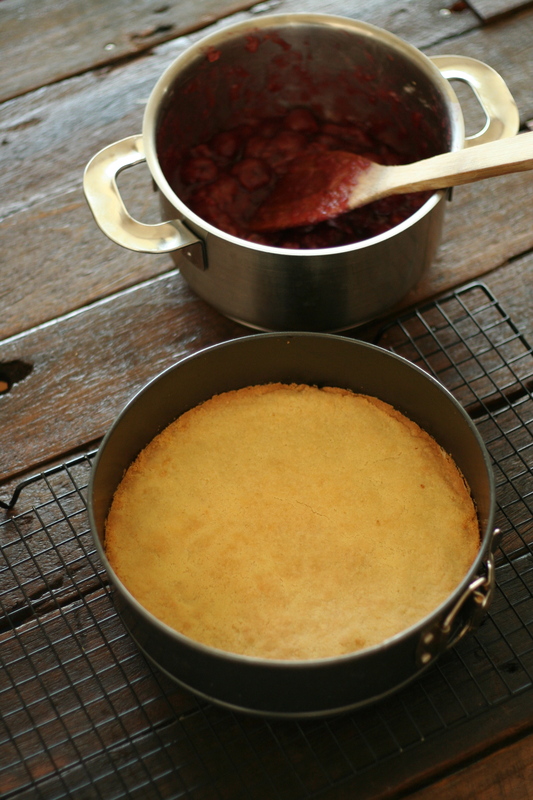 Once the topping appears set it’s ready, just allow to cool completely in the pan and make sure you run a knife around the edges to ensure no juicy bits are stuck before removing the tin. We’ve been eating the leftovers straight from the fridge which is pretty delicious but it is a bit better served at room temperature. Preheat the oven to 200º and prepare a springform pan. In a food processor combine all the ingredients and pulse until you get well combined crumbs. Pour into the pan and press in evenly. Bake for 10-15 minutes or until golden. Allow to cool. Drain the cherries reserving 1 cup of the liquid. In a saucepan combine all the ingredients with the liquid and heat over low to medium heat stirring for 5 minutes. The mixture should thicken and become fragrant. Allow to cool somewhat before pouring over the biscuit base. Mix all the ingredients in a bowl with a whisk until combined. 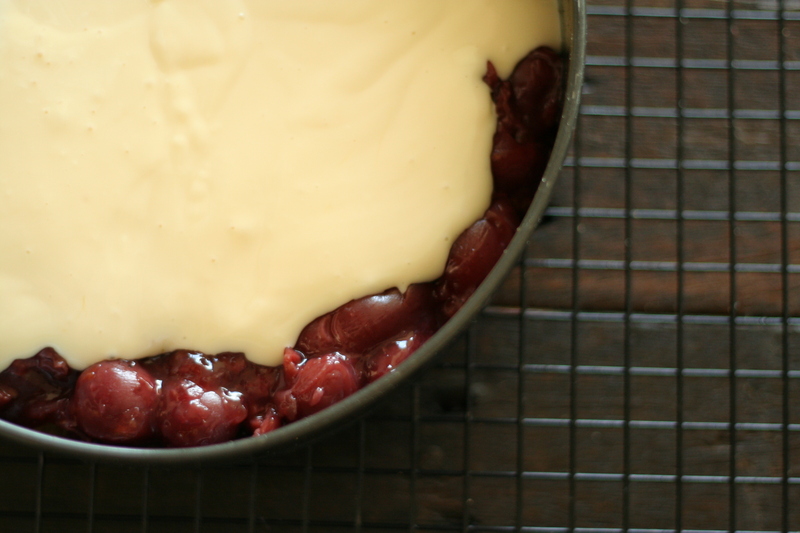 Pour over the cherry filling and smooth with a spatula. 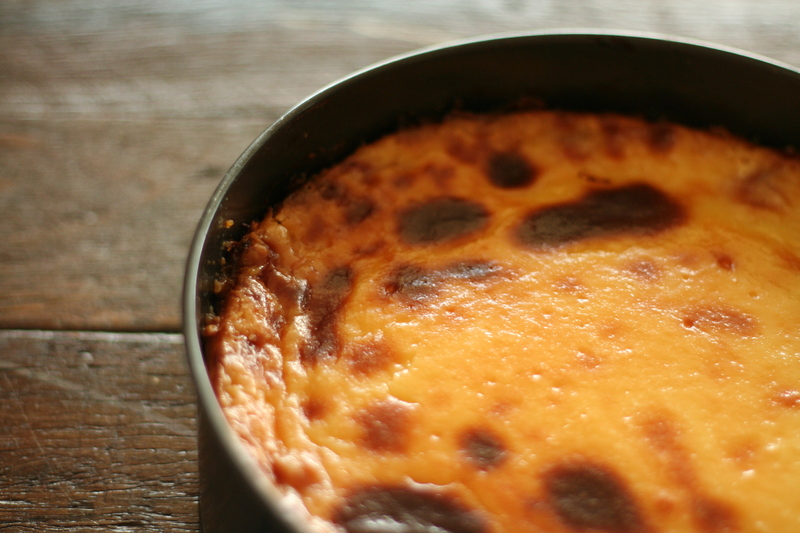 Lower the heat in the oven to 180º and bake the torte for 45-50 minutes or until the topping is set. Allow to cool completely in the pan before removing the tin. Enjoy. Looks Amazing 🙂 Sour cherries, yum. I just ran a dinner party post, too! There’s something so lovely (and fun) about connecting with friends–old and new–over an in-home meal. This looks luscious. thanks for the new recipe! i am a big fan of morello cherries! Looks amazing! 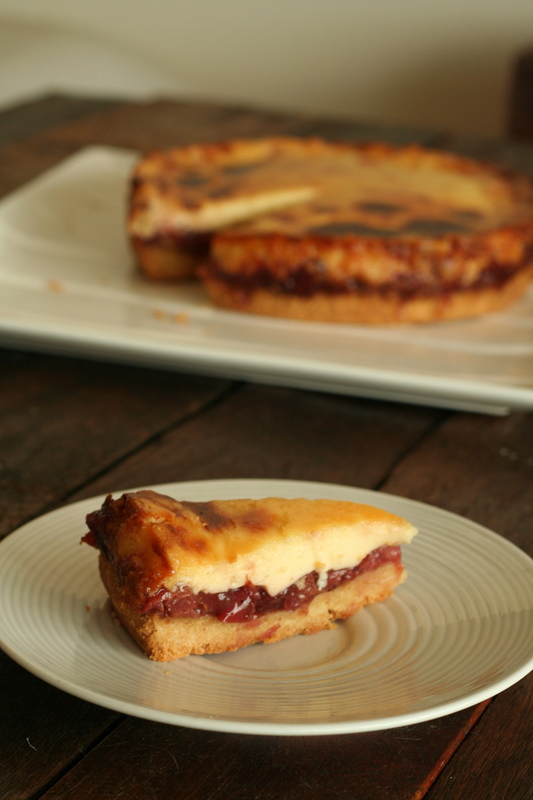 I worked in Germany for a while and we had a cherry tree in the garden – come harvest we ate all kinds of lovely cherry-related things, I might make this to relive those days! This recipe looks fantastic! 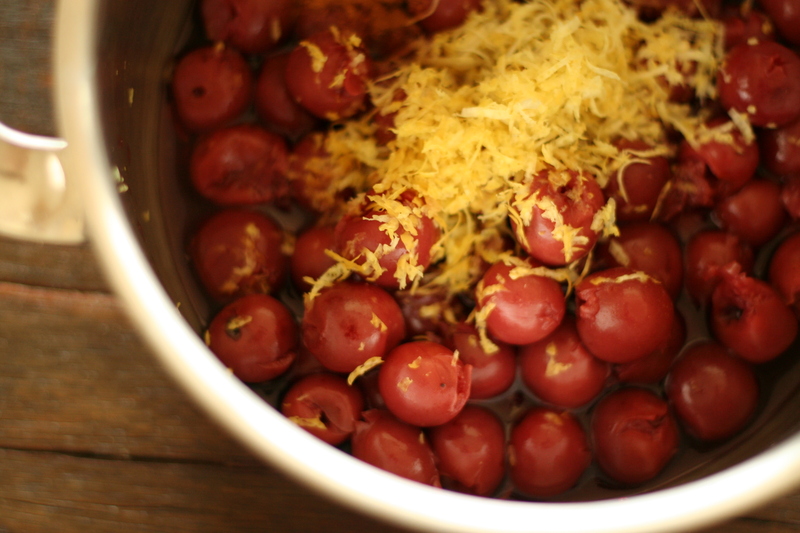 Love, love tart cherries….yum! beautiful, it looks so delish! 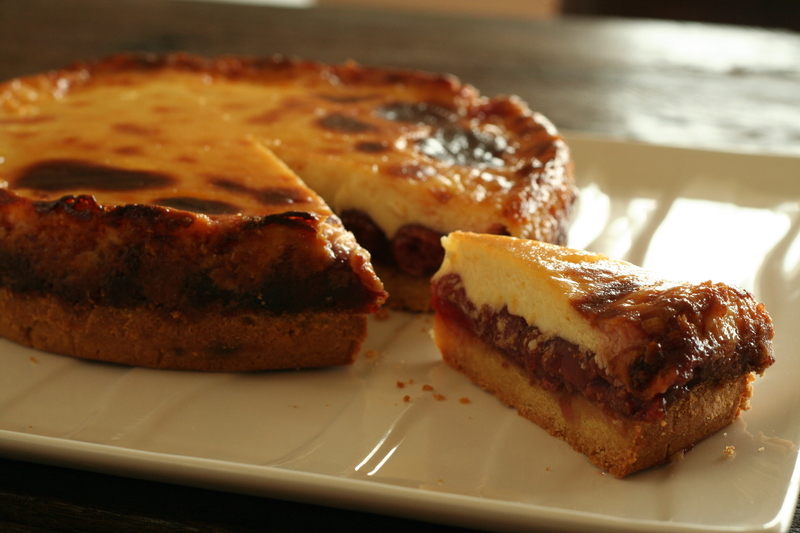 I have been wanting to make a torte for so long! Your pictures are really amazing! !